Singapore. 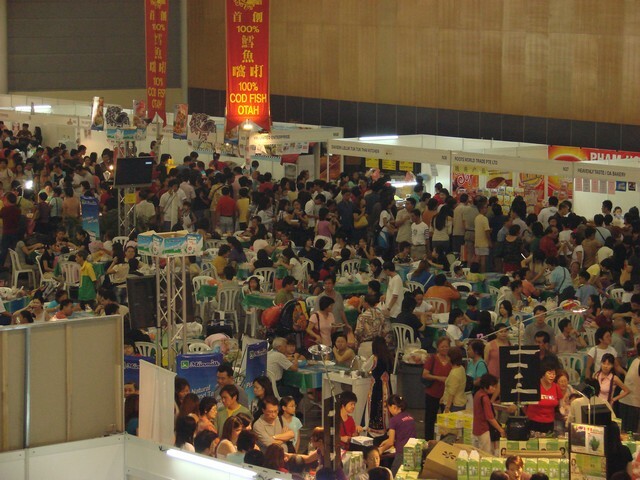 March 14, 2007 BioLife Marketing, the sole distributor of the Good Image Tea™ today releases three new types of tea during the Food & Beverage Fair 2007 in Singapore. 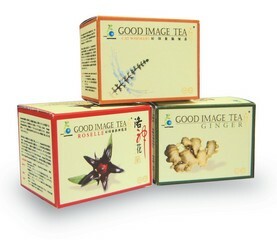 Like the classic Good Image Tea™ , the Good Image Cat Whiskers Tea, Good Image Roselle Tea and Good Image Ginger Tea are uniquely formulated under the guidance of Dr. Aoyama Kanahiro from the University of Tokyo and Professor of ShengYang Medicine University of China. Each is produced from traditional herbs and is manufactured by BioLife Marketing’s associated GMP-certified herbal manufacturing plant in Malaysia. “Tea has been appreciated for a few thousands years now and its benefits are easily found by doing a search on the Internet. As a healthy beverage, the number of consumers is growing annually. Since the successful launch of the Good Image Tea™ five years ago in Malaysia and three years ago in Singapore, we have been getting constant feedback from our customers to create variations out of other great traditional herbs.” said Ang Ah Sin, General Manager of BioLife Marketing. Good Image Cat Whiskers Tea is derived from the traditional tropical Clerodendranthus Spicatus herb, better known as ShenCha (kidney tea) or MaoXuCao (Cat Whiskers herb) in Chinese. ShenCha is believed to be anti-inflammatory, anti-allergy, anti-hypersensitivity and diuretic properties. Good Image Cat Whiskers Tea is blended with Wulong Tea, Tea Polyphenols or ShengDi（生地）as well as with another traditional herb called Glycyrrhiza Uralensis or GanCao（甘草). Good Image Roselle Tea is derived from the flower of another traditional herb called Roselle or LuoShenHua (洛神花) in Chinese. Roselle is known for promoting healthy intestinal and urinary systems. The unique blending with Mentha, Glycyrrhiza Uralensis and Green Tea gives a sweet and subtly sour fragrance to the Good Image Roselle Tea, thus making it a refreshing, thirst quenching and healthy drink.Good Image Ginger Tea is produced from high quality dry ginger and uniquely blended with Mentha, Glycyrrhiza Uralensis and Lycium or QiZi(杞子). Thus instead of the strong gingery smell, Good Image Ginger Tea gives a subtle mint fragrance while delivering the warming and traditional effects of the ginger and aids in digestion. “To ensure freshness, portability and ease of storage, all Good Image teabags are individually sealed. They are free from any preservative or artificial colouring”, said Mr. Lai Liew Ming, Managing Director of Comfort Herbal Manufacturing Sdn Bdn. “BioLife’s vision is to facilitate ‘Healthy Indulgence’ and we will continue to develop new products based on the other traditional herbs that appeal and be beneficial to the health-conscious community. We expect our revenue to increase ten fold by the end of 2007”, said Ang. Promotion For every two boxes of Good Image tea purchased, consumers will be given one FREE thermal flask. Offer valid up to 31st March 2007 or while stock lasts. BioLife Marketing (S) Pte Ltd is a Singapore-grown SME that focused on providing well formulated health products that aims at enhancing the total well-being of today’s hyper-active community. By harnessing the goodness from nature which provides the secrets in balancing the biological system of the individuals, BioLife’s vision of “Healthy Indulgence” set the goals for our current and future products to support the consumers in staying in the pink of health while continuing to enjoy their respective diet. Good Image Tea™, a popular label of innovative green tea was launched in Malaysia in 2001 and debuted in Singapore in 2003. It is manufactured by BioLife’s associated GMP-certified factory in Malaysia which has more than 10 years of manufacturing herbal and health-related products for other organisations in the region. For more information, visit www.biolifemarketing.com.sg. ChainFusion Limited is the leading Real Time Business Technology provider for evolving Small and Medium Enterprises who are frustrated with unproductive, disparate business applications that is a barrier to real-time visibility from bricks to clicks. ChainFusion began in 2000 by operating one of the first online credit card acquiring services through Citibank. BioLife Marketing, the sole distributor of the Good Image Tea™ today announced that Mr. Ang Ah Sin, a local I.T. professional of more than 20 years has joined the SME as one of its partners as well as its General Manager. “The call into entrepreneurship was never so strong until recently. With the invitation by 2 good and trusted friends reinforced with the support from my family and other friends, I decided to take the plunge into this different but exciting industry,” said Ang. Ang’s experience spanned across from technical support to sales and marketing; and spent more than 5 years with a key system integrator in the ’80s, more than 10 years with major distributors such as Tech Pacific in the ’90s and until recently with major manufacturers such as Trend Micro Inc. He was highly sought by the media for his views on Infocomm Security. Ang holds a Bachelor of Science (Hons) degree in Business and Management Studies (Marketing). As its General Manager, Ang will be handling the day to day business, develop and execute strategic growth plans. This will include increasing the product range under the Good Image Tea™ brand, create new product lines and recruit related agencies; developing the channel in Singapore as well as internationally. “Any new venture will face plenty of uncertainties and challenges. I am confident because the consumers around the world are getting more and more health conscious; tea consumption in the world was reported to rank second only to water consumption; and one of the greatest competitive advantages of BioLife Marketing is that we have an associated GMP-certified manufacturing plant in Malaysia. It has been manufacturing health products for other brands in the region for more than 10 years now and is also manufacturing for our own brand, Good Image Tea™,” said Ang. BioLife Marketing (S) Pte Ltd is a Singapore-grown SME that focused on providing well formulated health products that aims at enhancing the total well-being of today’s hyper-active community. By harnessing the goodness from nature which provides the secrets in balancing the biological system of the individuals, BioLife’s vision of “Healthy Indulgence” set the goals for our current and future products to support the consumers in staying in the pink of health while continuing to enjoy their respective diet. Good Image Tea™, a popular label of innovative green tea was launched in Malaysia in 2001 and debuted in Singapore in 2003. It is manufactured by BioLife’s associated GMP-certified factory in Malaysia which has more than 10 years of manufacturing herbal and health-related products for other organisations in the region. For more information, visit www.biolifemarketing.com.sg.